In a weak grid, especially with a grid-voltage proportional feedforward controller, the grid-tied inverter tends to interact with the grid impedance and thus suffers from poor power quality and even instability. 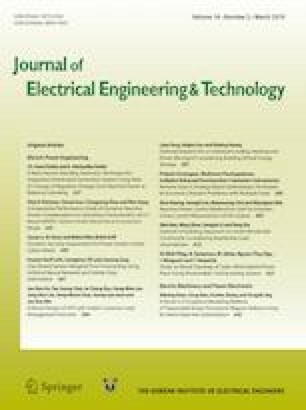 In order to improve the stability, serial-parallel virtual impedance based on the derivative controllers of grid current and voltage is proposed in this paper. With the aim of optimizing the performance of the inverter for a variety of grid impedance, these derivative coefficients are adaptively tuned by the constraint of a minimum leading phase which is determined by the phase margin and the current tracking response. With this proposed adaptive virtual impedance, the grid-tied inverter can operate stably under a wide variety of grid impedance and voltage harmonic rejection performance is also improved. Simulation and experimental results validate the effectiveness of the proposed method and design methodology. This work was supported by the KIEE.